Carefully thought-out details and innovations enhance productivity. Combine the basic design of a Valtra tractor with an AGCO Power engines and you will get a reliable, fuel-efficient machine that provides the right power at all times. 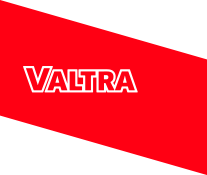 At the heart of Valtra tractors you will find the most reliable and efficient engine technology available on the market. For over sixty years Valtra tractors have been powered by AGCO Power engines. 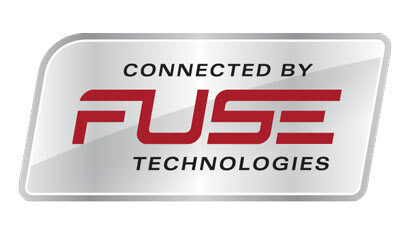 AGCO Power is the global leader in the development and manufacturing of off-road engines. The engines are renowned for their durability, reliability and extremely strong torque. With the right transmission, driving a tractor can be not only economical, but also simple and enjoyable. Valtra offers a range of transmission options for a range of needs and operator preferences. Valtra tractors offer you a range of transmission and hydraulic options that allow you to perform tasks precisely, comfortably and with maximum available power. 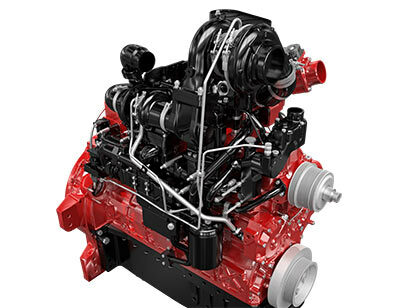 Whether you decide for the reliable fully synchronized powertrain of the small A Series models, the versatile powershift transmissions in HiTech, HiTech 5 or Versu models or the popular AVT transmission in S Series models – Valtra transmissions are designed to help you work long days productively and efficiently. Valtra tractors are renowned for the comfort and safety of the electrohydraulic forward-reverse featured in all of its tractors. The smooth and precise shuttle improves productivity especially when frequent direction changes are required as in front-loader tasks. 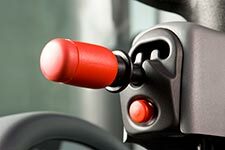 For added safety and comfort the shuttle also features an integrated handbrake, which is engaged automatically when the shuttle switch is in P mode or when the engine is turned off. Selecting a driving direction releases the handbrake, so it cannot be left on by mistake. 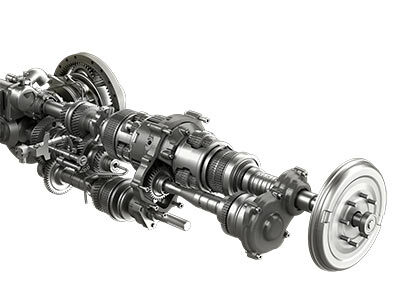 The continuously variable transmissions on Direct and S Series models select the optimal transmission ratio depending on the selected driving range and operating modes. The HiShift feature on Valtra's HiTech, HiTech 5 and Versu powershift transmissions allows to change gears manually without pressing the clutch pedal, making your work more efficient and reducing the strain on your clutch leg and foot. A range of automated or programmable transmission functions make the operation of Valtra tractors intuitive and help you get the power and precision out of your tractor that is necessary for the job. 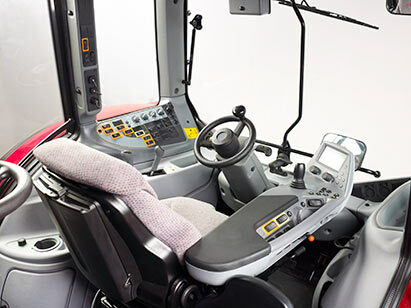 Valtra Direct allows you to select the ideal work area for the task at hand. Each of the four work areas begins from zero and offers stepless speed adjustment. You can also work as efficiently in reverse as you can forwards. By selecting the ideal work area, you benefit from the optimum efficiency between the engine and transmission, allowing you to drive more economically. 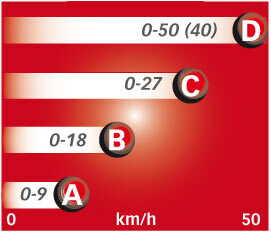 Note that all the work areas have lower top speeds on 40 km/h transmissions compared to 50 km/h. For the heaviest works, like low speed tillage or special crop harvesting. Ideal when highest pulling force is needed continuously, or when most precise speed adjusting is needed. Extremely high pulling forces with PTO driven trailers. Ideal for road transport at high speeds. Automatic mode is optimal for most operations in the field and on the road. Automatic mode uses the highest possible transmission ratio to optimise fuel use. Manual mode can be selected in A and B work ranges. The transmission ratio is controlled solely by driver using the CVT lever. Suitable especially for harvesting tasks that require specific speeds for different conditions and crops. The transmission droop setting determines how sensitive the transmission system is to changes in engine load. The transmission droop settings allows you to choose between power and economy. Leave the potentiometer in the middle position, and the tractor will function with a normal mix of power and fuel economy. When the potentiometer is in the middle position, the speeds in both forward and reverse are equal (100%). Turning the potentiometer clockwise reduces the driving speed in reverse by 10 to 90 percent, and turning anticlockwise reduces the driving speed forwards accordingly. This function can be used when extremely slow speeds are required (down to 0,01 km/h) or when manoeuvring at headlands. The overall efficiency of the Valtra S Series is further enhanced by the stepless AGCO Variable Transmission (AGCO AVT). Manufactured by AGCO in Germany, this transmission has been the European market leader among big tractors for years. Its popularity is based on its versatility and, above all, its fuel efficiency. Especially for contracting work that requires a lot of driving between locations, the AGCO Variable Transmission enables you to drive efficiently at low engine speeds. Valtra’s innovative SigmaPower is now available on the S Series. Whenever extra power is required by the PTO or hydraulics, the engine’s electronic management system boosts output by as much as 10% - up to 400 horsepower on the biggest S Series models. Power boost is also available when driving at speeds of over 20 km/h. You can control the stepless transmission the way that suits you best using the accelerator pedal, the cruise control system or the easy-to-use CVT lever. You can also select from two operating modes: By selecting the right operating mode for your work, you can optimise fuel efficiency, work output and driving comfort. Automatic mode is the default setting when starting the engine. The operating principle is simple: automatic mode uses the highest possible transmission ratio to optimise fuel economy. For example, when pulling a load in difficult terrain the transmission adjusts the ratio (engine speed) to maintain a constant ground speed. There is two ground speed cruise control settings and an engine speed cruise control setting. When you want to control both the ground speed and the engine speed precisely, you can select manual mode. There is two ground speed cruise control settings and an engine speed cruise control setting. When using the PTO, the engine speed cruise control adjusts the rpm to achieve the required output. Valtra offers a range of high-tech solutions that make your tractor even more versatile and intelligent. Valtra’s TwinTrac reverse-drive system is not just an auxiliary feature; it enables you to use your tractor productively in both directions.